BAM BAM will be at the A & R Bar on 1/23. Bronson is one of the best live shows I’ve seen from a relatively new artist so I highly recommend attending. 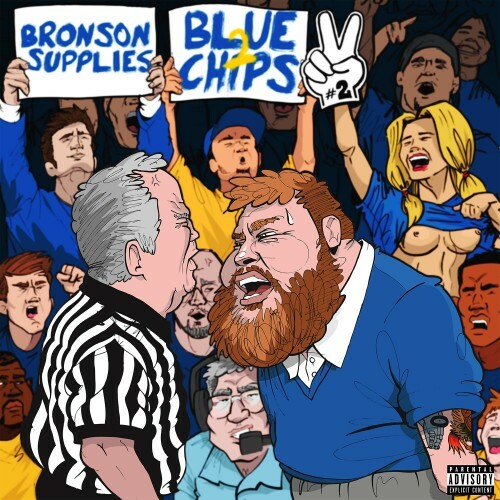 Action Bronson often brags about fixing sporting contests. The below video announces the Queens emcee “Blue Chips 2” album and also offers tangible proof of his fixing a basketball game. Termanology’s G.O.Y.A. LP Includes Appearances from Action Bronson, N.O.R.E., Lil Fame, DJ Kay Slay, Sheek Louch, Tony Touch, Doo Wop, Inspectah Deck, Maffew Ragazino, Reks, Wais P, Dice Raw, & Chris Rivers (Big Pun’s Son) and many more. In stores now, the CD version comes in a limited ‘Coca-Case’ package, featuring a foil-mirror cover, embossed with the word ‘G.O.Y.A.’, and including a 3.5 inch ‘Snuff Straw’ in the spine of the jewel case! P4k shared Action Bronson’s latest song off his upcoming ep SAAAB Stories which will be available via digital retailers June 11th. This one features Wiz Khalifia so if you want you could call this “Me and the Wiz” accept that would not make sense so it was a dumb joke on my part. Faster that you can say, fucked up, Action Bronson obliterates T-Dot in this Noisey video.